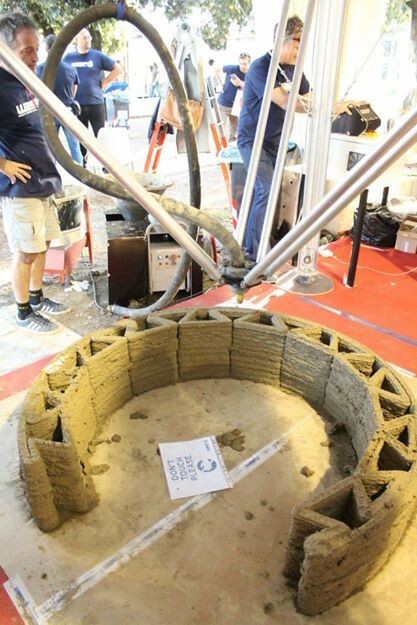 Wasp’s 3D printer is about 20 feet tall (6 m) and can print buildings that are 10 feet (3 m) in height. 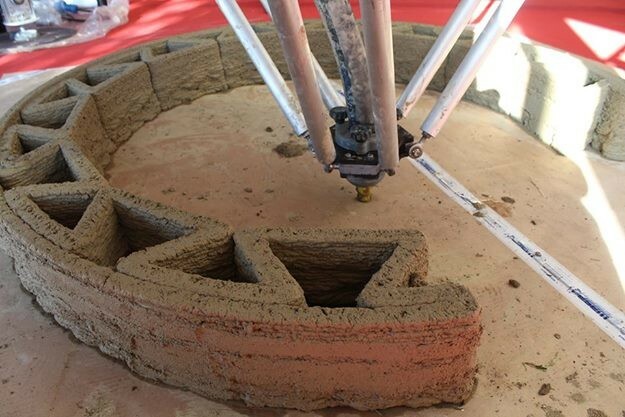 Wasp envisions this technology to be used for building homes on location, and using only materials available on site. 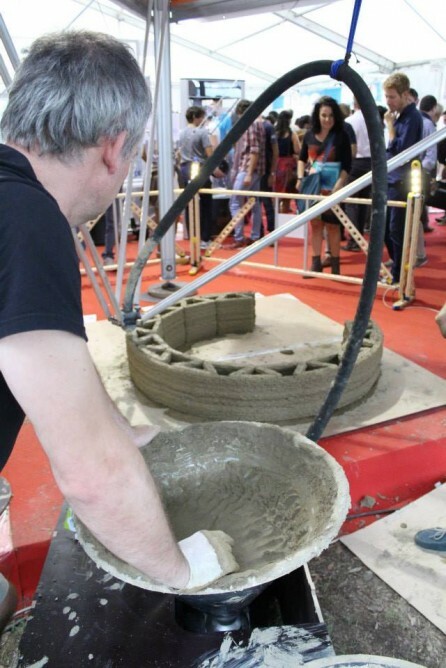 Apparently, this printer can be assembled in only two hours by two people, and is able to print structures made of mud, clay, and other naturally occurring materials. In October 2014 the company showed off a model of the printer at Maker Faire in Rome. There they used a smaller, 13-foot model of the printer in an effort to demonstrate its capabilities. 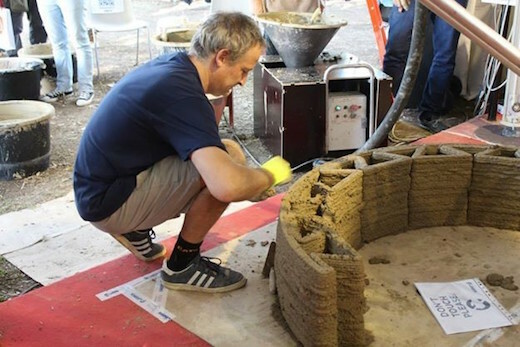 They used it to print a small house in just two days, using a mixture of sand and clay. 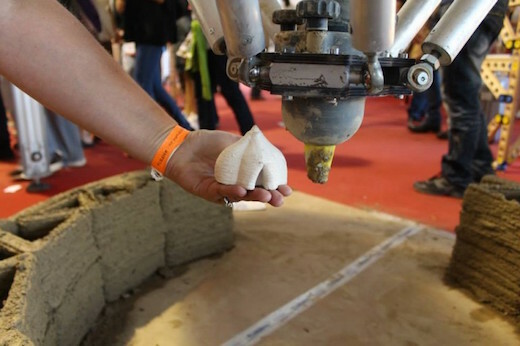 The design of the homes this printer creates is inspired by mud dauber wasp, an animal that builds its nest using mud. This fits with the company name, though that is actually an acronym for “World’s Advanced Saving Project”. Wasp has not yet revealed when they plan to begin deploying their 3D printers. The main aim of this project is to provide people in developing regions of the world access to affordable and sturdy shelter. 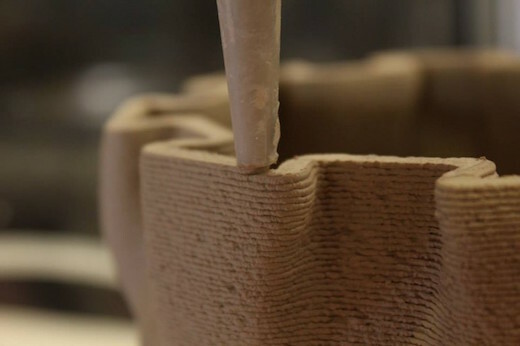 Many of these regions lack the possibility of traditional construction, and a printer such as this would help immensely. I grew up in a third world country in Africa, living in a mud home. Having some experience in building and maintaining mud homes, I believe this technology is should be more aptly named “First World’s Advanced Saving Project”. 1. Labor is very cheap in third world countries (mostly free with friends and relatives pitching in). 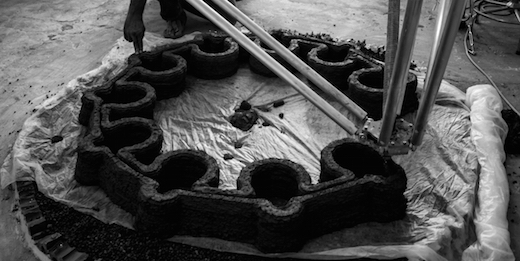 Material for earth homes are freely available, labor is the main effort involved. 2. Energy (in the for of electricity, or fuel) is unavailable or expensive. 3. The cots to acquire and maintain a 3 D printer would make it a white elephant in the 3rd world. 4. Mud homes have been and continue to be built for centuries in the 3rd world, so I dont see anything new this technology would bring to the table. 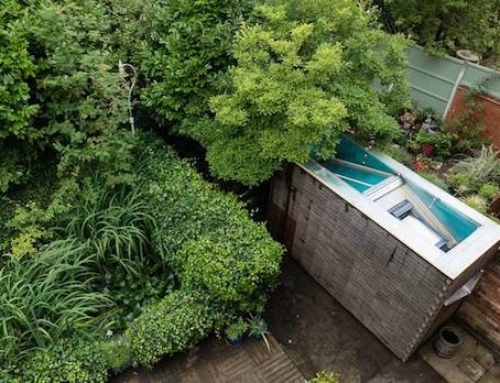 However in the western world where the cost of labor is high, this device might be the key to re-introducing earth architecture, to the mainstream population outside the sierra club and/or hippies.